Welcome to Mountain Education for 2018! When there are national disasters, we respond to help. After the landfall of hurricanes Harvey, Irma, and Maria in 2017 and, now, Florence and Michael in 2018, our key staff have deployed with FEMA to help victims into temporary shelter and find the financial resources needed to rebuild their lives and homes. If you desire focused wilderness education or have a personal schedule that doesn’t work with group instruction, let us know! We are a non-profit, public charity Wilderness School that seeks to teach you how to have fun and rewarding year ’round backpacking trips of your own. Common sense stuff to keep you safe out there. Wise tips to get you started, all taught right on the trail. How we differ from other wilderness schools is that we don’t charge for what we teach you! All we ask is that somewhere along the line you make a donation to our mission of wilderness safety. That’s how we can reach out to others who want to learn how to be safe in the wilderness, too! 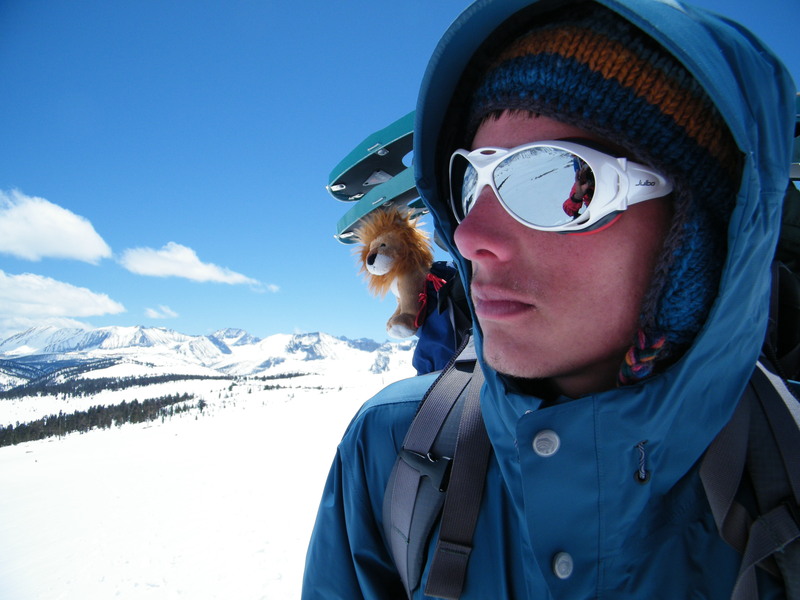 Mountain Education’s Mission is to minimize wilderness accidents, injury, and illness in order to maximize wilderness enjoyment, safety, and personal growth, all through experiential education and risk awareness training! By taking a course, you not only are guided into pristine alpine settings, but you are taught how to safely do it yourself later! For winter enthusiasts, if you are interested in snowshoeing out for a little solitude, peace of mind, or even to stay out for the weekend, we offer our famous, Snow Basics Courses that teach you what to buy, how to plan, where to pitch, and why… some even before you leave home! The 1-day Tahoe Clinics are for beginners wanting to learn more than just snowshoeing through the woods. 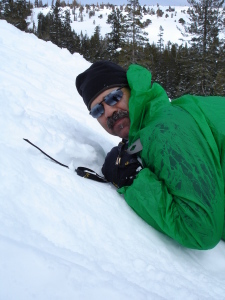 The 2-day, lodge-based, weekend seminars, offered in partnership with the Clair Tappaan Lodge on Donner Summit, allow intimate and fun instruction for small groups on winter wilderness knowledge and safety skills. 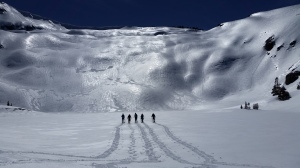 Ready to explore the snowy backcountry, but not ready to sleep on it? Like the idea of ready-prepared, home-cooked meals, a bed to sleep on, a roaring fire on the hearth, and a hot tub down the hall? 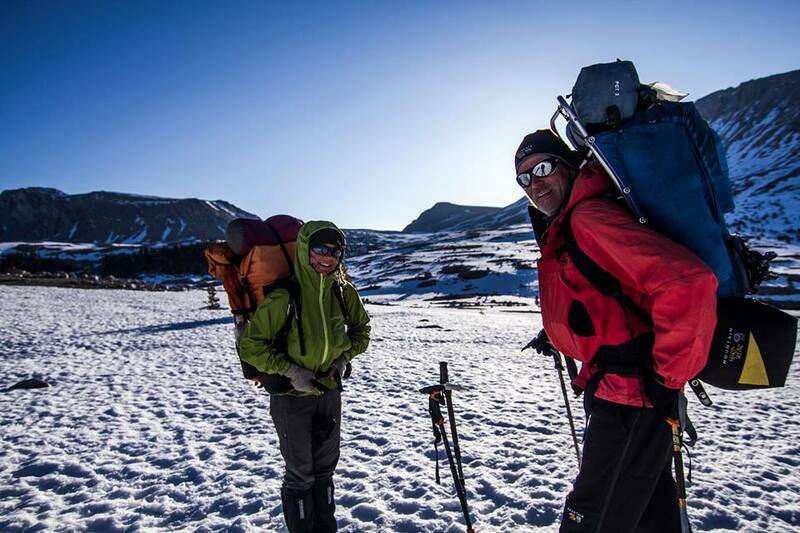 The 2-day Tahoe Overnight teach the “hows and joys” of snow camping in a quick, short distance, basecamp format. This course builds off what you’ve learned on the 1-day clinics and are designed to aleve any worries or concerns you might have about camping and sleeping on snow! The 3-day Snow Basics Course (SBC) is the “graduate” class that teaches you everything you need to know and do to be safe exploring and camping on snow. If you don’t have the time for separate weekend clinics throughout the winter, but can carve out a 3-day weekend, this is the way to get the basics down and open up your winter backcountry freedom! 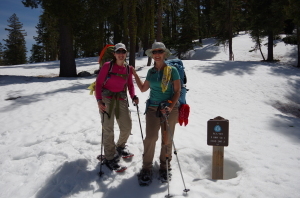 If you’d simply love to grab your snowshoes and backpack and escape the world for a springtime week or two in the High Sierra snow, consider our Snow Advanced Courses (SAC)! 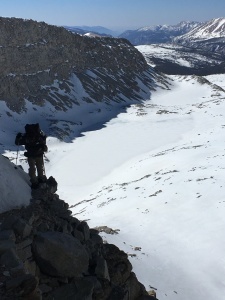 This special course of mountain knowledge and skills instruction is focused on showing and teaching you how to calmly overcome both your fears and the hazards common to hiking over early season steep Sierra snow and crossing raging creeks. * Though all 2019 course offerings are on hold for now, we are still available to answer questions to help you enjoy the wilderness safely and prepared. You can contact us here or at the school’s Facebook page here.